Whether you operate a data center or any other business, business continuity is incredibly important. We all think we are immune to disaster but the reality is, if you have not formed a business continuity plan for disasters, you are leaving your data center at severe risk. Imagine what it would be like if a disaster struck (flood, fire, etc.) and you could not get into your data center for a few hours – problematic, right? What if that disaster was really bad and you could not get into your data center for a few days or weeks – huge problem. Business cannot come to a screaming halt so a strategy for maintaining business continuity is a must. A strategically formed, well-thought-through business continuity plan should be a part of any data center’s disaster recovery program. A disaster recovery plan will be the big umbrella under which we will talk about business continuity because the two are inextricably related. This is because disaster recovery focuses heavily on data recovery and management but, beyond maintaining and protecting data in the event of a disaster, a data center business and the businesses it serves must be able to continue to meet its most basic objectives. During a disaster a data center may experience downtime in which all business operations come to a halt. This is not a small problem – downtime may cost as much as $7,900 per minute. A disaster recovery plan, along with a business continuity plan, will help a data center reduce downtime in the event of a disaster as well as operate continuously to meet business objectives. To formulate a business continuity plan we must first outline what makes a successful business continuity plan. A data center’s business continuity plan will function as a roadmap. If a disaster strikes, you will hopefully be able to find the type of disaster in your business continuity plan and then begin following the “map” to get to the solution and restore your data center to business as usual. First and foremost, a proper business continuity plan will focus on what can be done to prevent disasters so that business continuity is never interrupted in the first place. Data centers must consider what their unique needs are because there is no such thing as a generic data center business continuity plan – it would never work. Data centers must identify and asses all mission critical assets and risks. Once they have been identified it will be far easier to formulate a business continuity plan with specific goals in mind. You can prioritize your most problematic risks by focusing on the risk they pose to mission critical assets. In considering individual needs it is imperative that data centers determine what applications and processes are mission critical. For example, you’re your mission critical systems be maintained remotely? Additionally, in today’s data center world where security is a top concern, maintaining data security should be an important part of your business continuity plan. 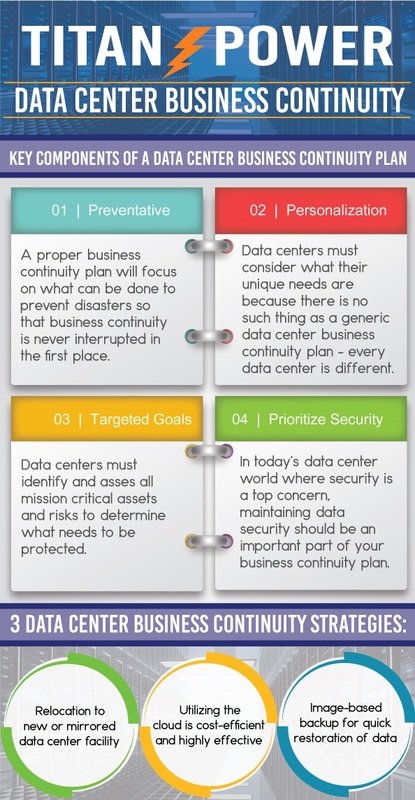 Disaster prevention is a central part of your data center’s business continuity plan. Identifying business continuity goals and potential problem areas will help you lay out a proper disaster prevention plan. Depending on your unique data center, certain measures may be beneficial such as increased inspections of infrastructure, better surveillance, enhanced security in various areas including data centers grounds security and rack-based security, increased redundancy, and more. Think in terms of real problems and real consequences; be specific so that you can make specific business continuity plans and strategies. Some data centers may want to relocate their data center if a disaster is incredibly large but the logistics of this are far from simple. Relocating for a disaster safely, rapidly, and securely is no simple task. And, beyond that, it is expensive which is why many data centers – even large enterprise data centers – do not do this. To do this properly as part of a business continuity plan, a detailed data center migration plan must accompany the business continuity plan. Some enterprises may want to utilize regionally diverse data centers that mirror each other but this is also expensive and exceptionally complex to implement – though it can be very effective at maintaining uptime, maximizing security, and optimizing business continuity. Data centers are also utilizing the cloud for their business continuity plans because it is cost-efficient and highly effective. The cloud platform is exceptionally effective for business continuity, particularly as data centers move more and more towards virtualization. 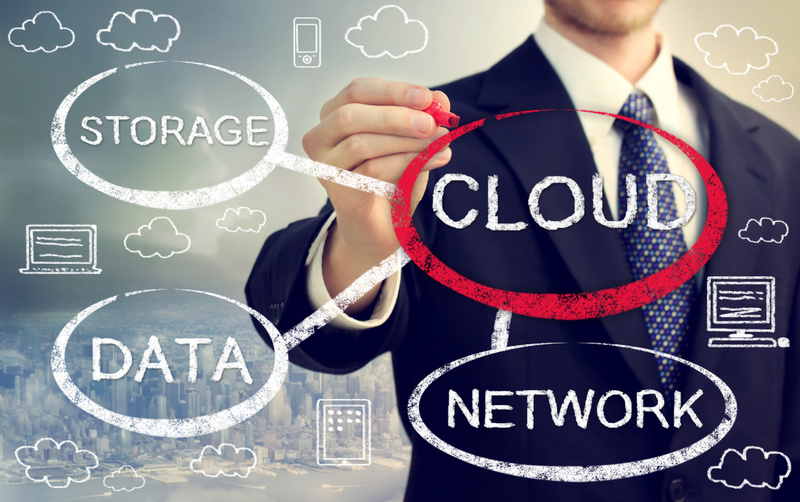 A cloud service with proper SLA (service level agreement) can ensure that data will be continuously saved and protected even in the event of a disaster. This is where identifying mission critical applications and information are important. The entirety of the data center’s workload does not need to be recovered in an instant, only that which has been determined mission critical. While not every data center will experience a “major” disaster where they cannot get into their facility for weeks, many data centers will experience some type of disaster. And, as mentioned, mere minutes can cost tens of thousands of dollars. Beyond the bottom line, the inability to continuously maintain data center business may damage your reputation irreparably. An effective business continuity plan is capable of pivoting around both people and processes depending on the specific circumstances. Rapidly restoring data and operations is the goal and data centers should take that goal and work backwards from there to determine the best path to maintaining business continuity. This entry was posted in Back-up Power Industry, Cloud Computing, Computer Room Design, DCIM, Uninterruptible Power Supply and tagged Business Continuity, Data Center, data center equipment, Uninterruptible Power Supply, Uninterruptible Power Systems, UPS. Bookmark the permalink.